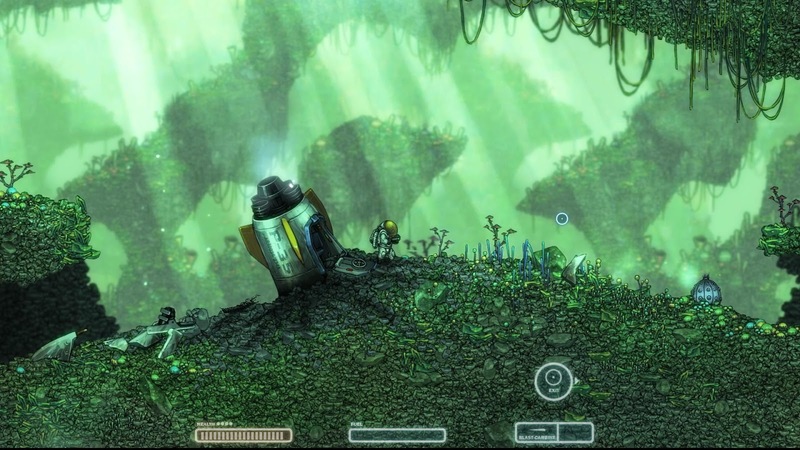 Hitting the Xbox Live Arcade Marketplace this week is a little game called Capsized. It's the tale of a lone astronaut, stranded on a hostile alien planet after his ship went down. Along the journey you'll find missing astronaut team-mates, discover an array of powerful alien weaponry, solve a lot of physics based puzzles and kill a lot of different enemies, all accompanied by a delightful hand-drawn style, ambient music and a sad, silent story of one man's mission to survive. 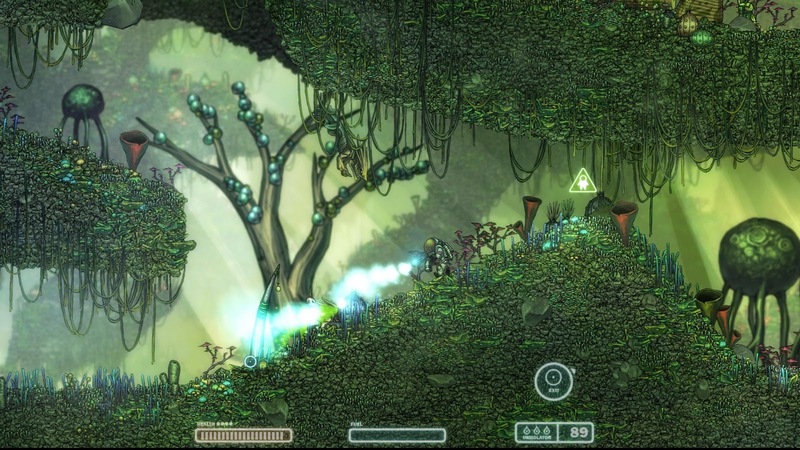 The game is already available on PC and iOS devices, but how does the XBLA version, developed by indiePub, hold up? Read on to find out! 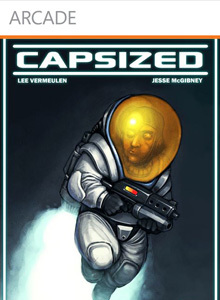 Capsized puts you in the shoes of a nameless hero, intent on finding his missing crew mates, and surviving. To help you with the journey you have a grappling hook and a jet pack, as well as a handy wall jump ability. As it's a 2D game, the levels comprise of huge spaces, with many different paths, caves and secrets, so the jet pack and grappling hook are really necessary for getting around these vertical labyrinths. In each level are various enemies, getting harder and harder as you progress further. The weapons you find dotted around the level are also powerful though, so the combat does get more difficult but it's fairly balanced. There are also a lot of secrets to find so there is a decent level of replayability, which is definitely a good thing as there aren't too many levels. 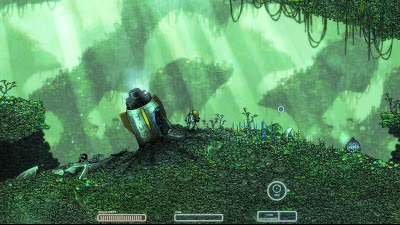 You could get through the game in a few hours but finding everything and getting perfect scores on each level adds a substantial amount of time onto the game. The graphics are in a hand drawn style, giving Capsized a really pleasing look. The enemies are quite detailed and the number of different alien designs is impressive. The story is definitely basic, there's barely anything to it, but it's told in a comic book style, and the art is fantastic. There are some touching moments in the game, and even though there isn't any dialogue or much story at all, you will definitely find yourself caring for the hero. The soundtrack is perfect for Capsized. It's ambient, relaxing music, that somehow completely works with the setting and atmosphere, and it does help convey emotion where dialogue can not. Capsized is a beautifully designed physics-based puzzle-platformer, that may not be the longest of games, but it has great gameplay, replayability, graphics and sound. It's an almost perfectly polished title, it's a lot of fun to play, and is definitely worth the asking price, but it just feels like it ends a couple hours too soon.